Hull crack was the root cause of sinking of very large ore carrier Stellar Daisy in South Atlantic, according to the witness evidence from the two rescued Filipino sailors. The vessel capsized after developing heavy list of more than 15 degrees. 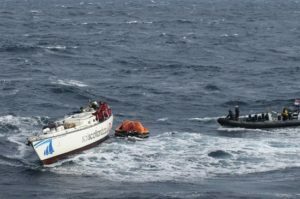 The Two sailors arrived on starboard deck for evacuation on the lifeboat, but due to heavy list it was not possible, so they released the life raft. There were another people with life jackets and immersion suits on the deck and all jumped into the water to board the raft. The rescued seamen never saw the other people from the ship, but presumed that they also jumped and boarded another life rafts. The survivors mentioned cracks on the main deck, through which water was flooding in. 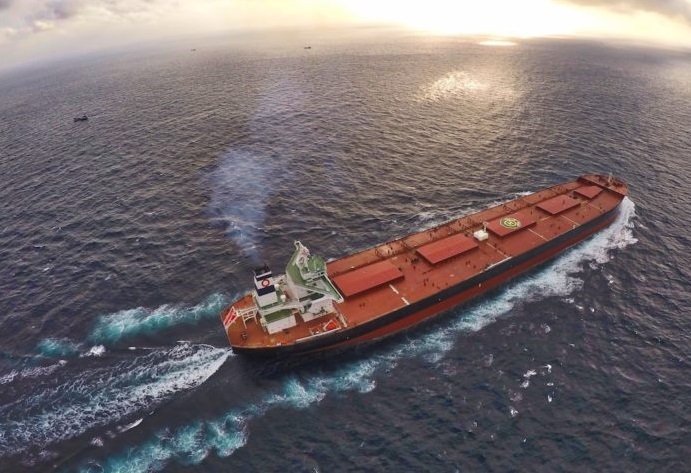 According to their suggestions, the very large ore carrier Stellar Daisy suffered structural hull damages and cracks, which caused the fast sinking and the large number of missing people. The both survivors believe that the rest of the crew might be alive. The search and rescue operation continue, engaging airplane of Brazil and Uruguayan navy vessels. Also four merchant ships joined the SAR operations and also Polaris Shipping’s three merchant ships expected to arrive early that day too. Brazilian destroyer equipped with a rescue helicopter was expected to reach the scene on April 4. The very large ore carrier Stellar Daisy (IMO: 9038725) capsized and sank in South Atlantic on 1,500 nautical miles off Uruguay. The vessel had 24 crew, including 8 South Korean and 16 Filipino on board, but only two Filipinos were rescued. Another 22 people are still missing.